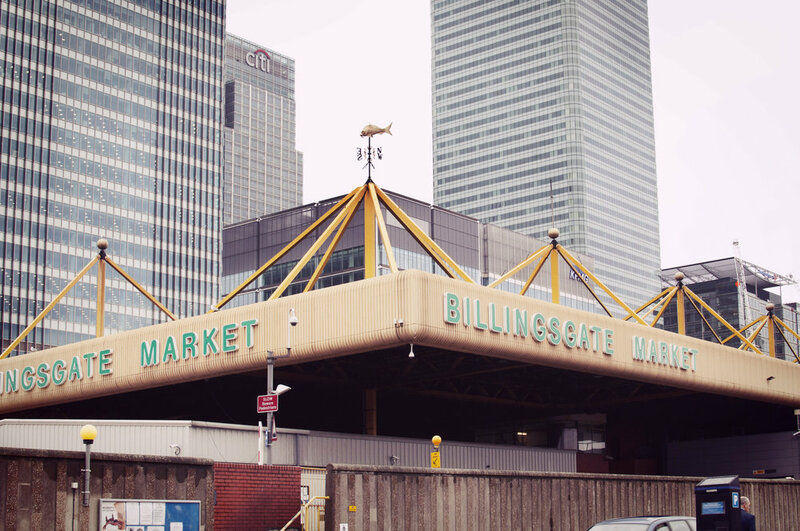 Today I was led back to Billingsgate Market after watching a three part documentary from the BBC recently looking into London's main food markets - Billingsgate Fish Market, Smithfield's Meat Market and Spitalfield's Fruit and Veg Market. The programme focuses on the history of each market, the people that work there, and their struggle for the future. 'The Fish Market: Inside Billingsgate' centres on a legendary character called Roger Barton who was once a porter but now a stall holder at Billingsgate. I wont say too much about the programme and let you watch it for yourself, but I passed Rogers stall and got chatting with one of his employees who was eager to let me know Roger was a'B*****d' to work for, while selling me some salmon. The fish market is a great tourist attraction which is full of a variety of amazing fish and seafood from crab to razor clams to eels. 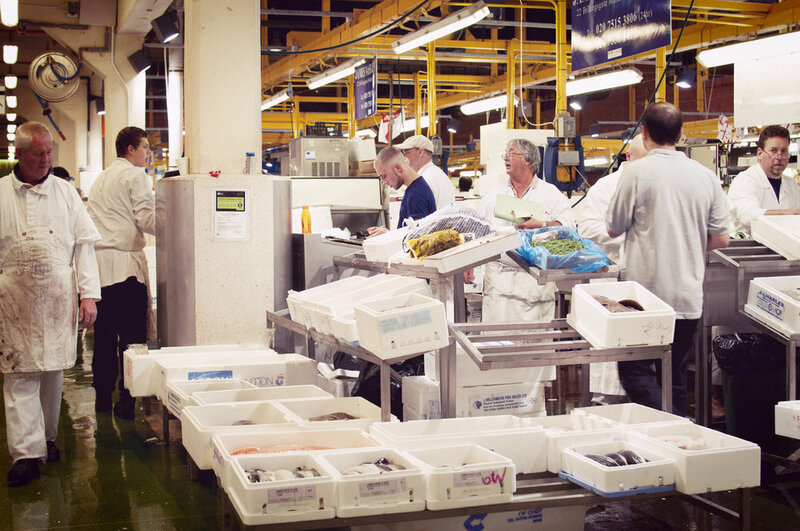 Billingsgate is open to the public Tuesday to Saturday 5am - 8.30am (full details on their website). It is worth getting there for about 6am before all the good stuff goes. They also have two small cafes inside where you can enjoy breakfast amongst the workers. 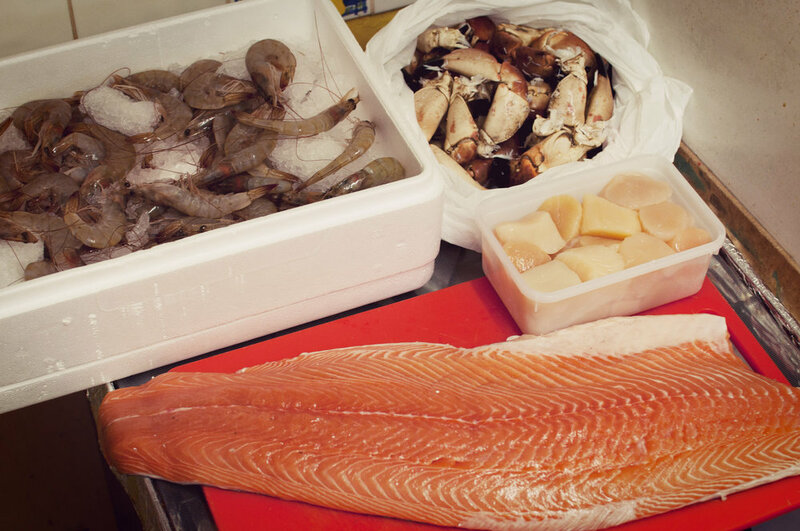 If your going to take a trip to Billingsgate it is definitely worth taking the car and stocking up with the great prices. Oh and don't forget to sport your favourite wellies, avoiding the puddles of fish juice!